Most people tend to believe that oils are bad for our health. But not all oils are harmful for us. Let us consider the case of organic coconut oil. Recent studies have concluded that organic coconut oil, when consumed in small amounts, can be beneficial for our health and beauty. Let us find out more on the goodness of this oil. A measured use of organic coconut oil in your low-calorie diet, followed by regular exercise or walking can help in your weight loss efforts. But try to limit your intake of the oil to a very small quantity to derive better results. It has been found that food cooked in organic coconut oil keeps your cholesterol and lipids within the normal ranges. Organic coconut oil has properties that fight bacterial and viral infections and prevent their growth. This oil is also effective in fighting against infections caused by the parasitic fungi known as candida. This oil is very helpful for treating dry, itchy and rough skin. It carries antiseptic properties. Organic coconut oil can be easily absorbed by our hair. It prevents hair damage and loss of protein in hair. Remember that not every kind of coconut oil is good for your health. Organic coconut oil can be effective for you and your family if it is consumed in measured quantities. So, go ahead and enjoy the goodness of organic coconut oil in your daily life. Are the Fruits We Eat Really Healthy? We all are aware of the benefits of eating fruits. As part of our daily diet fruits can be immensely helpful for our health. But do you know that along with fruits various pesticides are also becoming a part of your regular diet? Most of the common fruits are overloaded with harmful pesticides. Let us take a look at some such fruits. Apple: An apple a day keeps the doctor away. But apple is one of those fruits that are found to have pesticides way above the permissible limits. Orange: Tangy oranges are favored for their taste and health benefits. But they contain banned pesticides at 140% above the permissible limits. Cucumber: Cucumber is preferred for keeping the body hydrated and eliminating toxins from it. But even this fruit is known to be laden with several pesticides. Banana: This staple fruit in our diet comes with a lot of health benefits like providing energy and sustaining blood sugar. But it also packs a lot of pesticides in our diet. Strawberry: The delicious strawberry is popular as a high fiber and low calorie fruit with a number of other benefits. But the presence of pesticides on it has been found to exceed permissible limits by several degrees. Pesticides can prove to be fatal if consumed for a long time. One way to continue enjoying the benefits of fruits is to switch over to produces of organic farming. Organic fruits are free from chemical pesticides and hence, are beneficial for our health. Winters can be cold and grueling, especially with cloudy and gray days. Most people turn to fried food and hot caffeinated drinks to stay warm. Fortunately, there is a better way to beat the winter blues. The availability of fresh fruits and vegetables during winter is significantly reduced. While the word seasonal is slowly going out of fashion, owing to the introduction of GMO and chemicals that have made growing anything in any season possible. Instead of choosing produce that is riddled with chemicals and engineered to be different, organic food is definitely better. Winter gives us the opportunity to savor some refreshing fruits and vegetables. Most of these are readily available. What is usually missing is the knowledge that they are in season during winter. Here is a list of a few fruits and why there are healthy choices. Guava – Loaded with vitamin C, guavas are a tasty alternative to most snacks that mark winter. (Think rose cookies for example.) 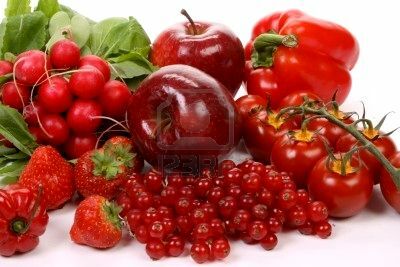 The fruit also boasts of a high lycopene content, known to help fight against heart diseases. Oranges and other citrus fruits – The organic fruits have a far higher Vitamin C content and are natural immunity boosters. Kiwi – Another fruit with a high Vitamin C content makes facing the cold of winters easier. Eating healthy and taking care of yourself does not have to be a seasonal choice. Where there is a will there is a way to find organic food. 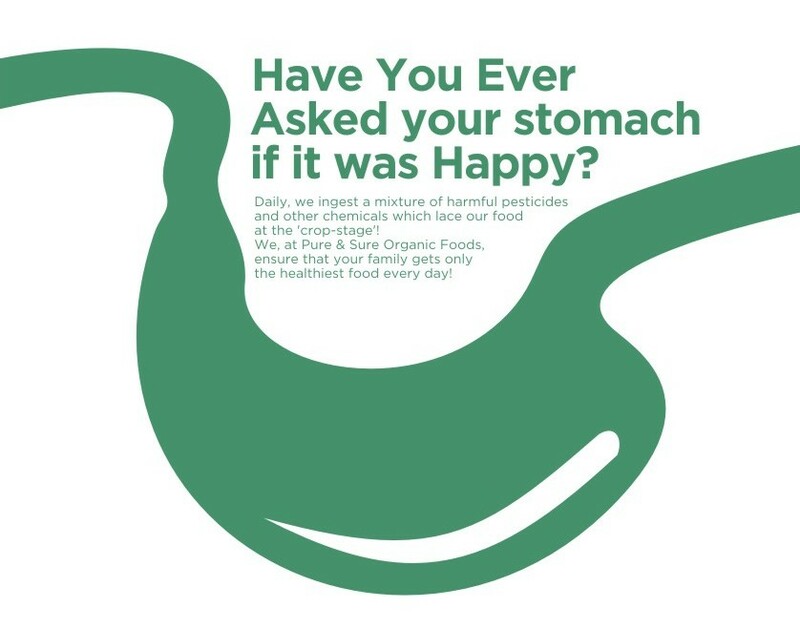 It is no secret that organic food is hailed as a healthier food choice. Consistently overtaking traditional food, organic choices have lived up to the hype of better health. The following points are a few testimonials. They have a higher nutritional content including vitamin C, calcium, chromium, magnesium, iron and antioxidant levels. They contain no neurotoxins. Commonly used chemical pesticides are still classified as neurotoxins. Organic food therefore, is better suited to children’s diets as they are more susceptible to the toxins. Genetically modified food is engineered so as to produce its own pesticides. They continue to produce them in the stomach. Organic food has no such pesticide factories. The chemical pesticides are a major factor in water pollution across the world. Eating organic helps reduce a portion of the pollution. It is a sustainable food choice. Food grown without the use of chemicals is bound to taste better than traditional choices. Organic food is ripened naturally, without the aid of chemicals and/or gas. Farms that rely on organic methods are safer for farmers. The potential health risks of getting Parkinson’s and other diseases is greatly reduced with organic choices. Wildlife is also saved from harmful exposure to chemicals. A large number of chemicals used in traditional farming are known to cause cancer. Organic meat is not exposed to antibiotics and growth hormones. All the reasons listed above fall short in describing the raging popularity and celebration that organic food is enjoying globally. Everybody knows that living a healthy life is important. The good things it can do to your own mind, body and soul has been talked about much. But why do you need to live an organic lifestyle? Well, it can do a lot of good things to you. It also does protect the environment and the earth we inhabit in the process. More people choosing to lead an organic lifestyle means we are leaving the planet a lot healthier. It does not take much to lead a simple, yet effective organic lifestyle. Here are some simple changes you can think about adding to your daily regimen. Organic food is the first thing that comes to any person’s mind when you think about the word ‘organic’. It is often said that you will become what you eat. If you eat organic produce, may be you can avoid getting a lot of poisons into your system. When you chose to eat organic, you are supporting a large system which will eventually help reduce the negative impact pesticides and harmful chemicals can have on our planet earth. Cleanliness, germ killing and pesticides are way too overrated. You can opt for natural options rather than using harmful chemicals in your household. Think about vinegar or baking soda rather than the phenyls you use to clean your house. Think about natural mosquito repellents. Keep the surroundings clean to avoid roaches instead of spraying roach killers all over the place. It is not easy to give up on your favorite shampoo or soap that you got used to over years. Think about the harm it can do to your skin or your hair over time, considering the amount of heavy chemicals added. Consider buying a herbal organic product instead. You are not as stinky or dirty as you think, really. Save as much energy resources as you can. Make a choice about using the public transport. Or try using a bike. Bihar has shown an exemplary way in organic farming, thanks to the insight of the chief minister Nitish Kumar. Nitish Kumar’s government is promoting organic farming in a big way and the latest beneficiary of the hardwork put together by many farmers is the home village of Nitish Kumar in Nalanda District, Bihar. Organic farming is not only flourishing in Bihar, the farmers are even preparing to export their vegetables to Europe. Farmers of a village in Bihar’s Nalanda district are the ones taking this big leap after receiving the prestigious C3 certificate by Ecocert, a French certification body for organic produce. The village is the first one in Bihar to have gained the fully organic status. The ‘Organic farming promotion programme’ launched a year ago by Nitish Kumar’s government has helped many a village in Bihar to reap success through organic farming. The farmers are happy at this new found opportunity to reach out to the organic markets internationally. This success story has also proved a point that unlike large scale corporate farming which involves heavy machinery and pesticide support, organic farming too can get the farmer a profitable yield, that too without having to harm the land with pesticide residue in the process. It was a time consuming process for the farmers to shift from chemical farming to organic farming. However, the farmers are now happy at this new prospect of export with international firms, now that they have certified themselves as a 100 % organic village with no trace of pesticides including endosulfan, chlordane and lindane. With many more districts on its way to complete organic status, Bihar is beaming in this new “Green Revolution”. When Food is Genetically Altered! The fascination towar ds modifying anything is a given in human nature. It has been an intriguing practice since time immemorial. For ‘genetically modifying’ food, the only resort so far was to do selective breeding. If you want to create a crop of rice which is resistant to a certain kind of disease, the traditional time tested practice is to plant a crop of rice and watch which among the plans are resistant to the disease. Once you arrive at a set of plants who are resistant to the disease, you will safeguard the seeds from the said rice plant and watch the performance of those plants created from those seeds over time, thereby arriving at a rice variety with high resistance. This method of selective breeding has been successfully aiding mankind in identifying chickens with high resistance to diseases, creating gigantic pumpkins and so on and so forth. While this was the story of yesteryears, genetic engineering techniques now help scientists to avoid all the difficult and time consuming rounds of trial and error selective breeding and help to add specific genes into any plant or animal to create any desirable effects. Even though it is possible to do things like creating a cross species in genetic engineering, an example being the plant that produces human insulin, it is only highly doubtful weather the science of it will almost always be used for very saintly purposes. The chances of using the technology to create profit minded genetic aberrations are but many. The genetic methods of modifying food have reached a great level of produce enhancement that the local produce is reaching a crisis. Many slow yielding, yet highly efficient crop species are reaching a point of extinction in this madness of visually appealing mass production. Lives are increasingly becoming stress laden and guess what is adding to the skyrocketing levels of stress? Not work, not lifestyle, but Food! Yes, we have better looking fruits and vegetables now a day. But the better look is also a result of a generous supply of pesticides or radiation. Processed food or the ones that is exposed to the use of harmful pesticides are a major culprit in a lot of new found diseases of our times. It is only common sense that the healthier the body, the healthier the mind. The more junk or pesticide traced food you include in your diet, the more stressful you will become. Don’t even think about emotional eating, for you binge on all the junk food in the world and instead of relieving yourself of the tension, you will end up piling on the stress. 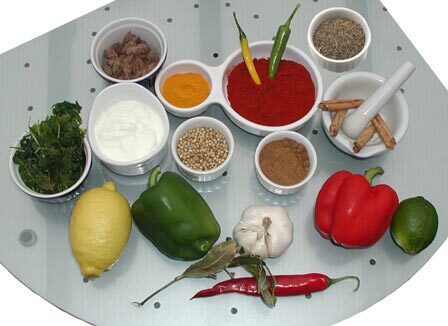 Indian cuisine, be it breakfast, lunch, dinner or snacks, is laced with a wide variety of spices. Spices can do magic to your taste buds, but they can do a higher level of magic to your health. There are three essential spices that do the magic. Here is how. Chilly Peppers : The Andhra Chilly, Kashmiri Chilly, Green Chilly, Shimla Mirch, Kanthari Mulaku or the very hot Raja Mircha… The diverse nation has its diversity also in its spicy Chillies. The chilly peppers contain something called Capsaicin and the spicier the chilly, the better. Capsaicin not only gives the Chilly its spice but also has a variety of medical benefits including pain relief, heart health, fighting prostrate cancer and stopping ulcers. Turmeric: Turmeric, the essential component in any Indian curry, not only helps in giving the food a lovely bright colour but also provides a handful of health benefits. Turmeric is considered to be an antiseptic and is helpful in cleaning the meat, fish or vegetables. Turmeric as well as ginger from the same family is of aid to reduce inflammation in arthritis patients. It is also believed to block the formation of some types of cancers. Garlic: Garlic has many ardent followers in India and it is enjoyed in curries, rice or even in the form of garlic bread or pizzas. Which ever form you eat it in, it can be trusted as something good for your health. It is a common ingredient for a lot of natural remedies and traditional medicine. It has anti-fungal, anti bacterial and anti viral effects. Studies show that it can stop blood clots from forming in your arteries and hence is recommended for heart patients. Summer is just around the corner and the mercury is rising year after year like nobody’s business. Gear up early to shield yourself from the pangs of summer. The most important thing to get you survive a summer is to make sure that your body is well hydrated. There are three surefire ingredients to deal with the scorching heat. When the sun hits you hard, it is best recommended to add different items of the melon family whenever you want, be it breakfast, lunch, dinner, mid day snack or juice. Water Melons, Cantaloupe and Honey Dew Melon will help you keep your body well hydrated while also giving you the refreshing summer taste fiesta. 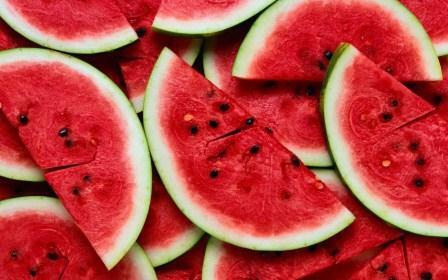 Being diuretics, melons also assist you in expelling the unwanted toxins from your body. Not only are the citrus fruits energizing in summer, they also add up to maintain a healthy and young appearance. The anti oxidants present in citrus fruits like grapes, lemons and limes do have a magical effect on your skin, thanks to the multiple antioxidants present in them. Citrus fruits also assist in easier digestion, thereby keeping your body as relaxed as possible in the scorching heat. It is a clichéd truth to say ‘as cool as a cucumber’. Cucumber teamed up with radishes, lettuce, spinach and mint is your body’s best refute to release heat and lighten up in the resulting cooling effect. Add them to your salads and sandwiches. Spice your iced tea with cooling mint leaves. Do the spring cleaning, pack them winter clothes, pull out the summery cottons and relish a summery snack with these surefire summer weapons. Enjoy!